We read the article by Zhou et al. entitled “Meta-analysis of efficacy and safety of continuous saline bladder irrigation compared with intravesical chemotherapy after transurethral resection of bladder tumors” with great interest. Looking at the methodology and papers included for the meta-analysis, we have found a few flaws which must be highlighted. The authors state in their study design: “Systematic review of Randomized Controlled Trials (RCTs) was carried out using the preferred reporting items for systematic reviews and meta-analyses (PRISMA) checklist” . Their inclusion criteria states: “the article was a randomized controlled study” . The authors include in their analysis a study by Onishi et al. 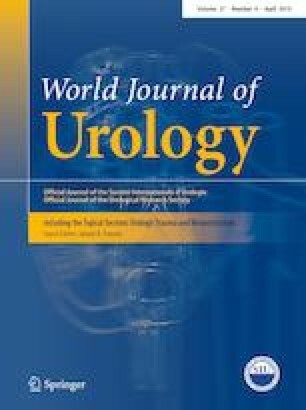 which is a retrospective non-randomised study of 238 patients with non-muscle-invasive bladder cancer. May I ask the authors for clarification on why it was included in the analysis? The other flaw we see with their analysis is the comparison of different intravesical chemotherapeutic agents: Gemcitabine (Bohle et al.) to epirubicin (Maekawa et al.) to mitomycin c (Onishi et al.) [3, 4, 5]. To get meaningful results which can be applied to clinical practice, the intervention (the chemotherapeutic agent) must be standardised. Hence, conclusions from this study do not represent a high level of evidence and must be viewed with some scepticism.